Memory Foam Mattresses: Forget the “Sleeps Hot” Issue! Some “old wives’ tales” never seem to go away. Let’s get rid of some of them… You do not catch a cold from being cold. Colds are caused by viruses. If you cross your eyes or make a weird face, it is not going to stick that way. Most importantly (for our purposes at least), not all memory foam “sleeps hot.” So where did this pervasive rumor come from? Let’s explore that a bit. Author Angela L. HensleyPosted on April 27, 2016 Categories memory foam, memory foam mattress, Memory Foam Mattress TopperTags memory foam, memory foam bed, memory foam mattress, memory foam mattress pad, Memory Foam Mattress Topper, memory foam mattress topper pad, memory foam topper, sleep hotLeave a comment on Memory Foam Mattresses: Forget the “Sleeps Hot” Issue! One of the concerns people have with memory foam is its reputation for “sleeping hot.” Memory foam reacts to your body’s weight and its temperature, as well as the room temperature. Does this mean it is destined to sleep hot? Not at all! Memory Foam With an Open Cell Structure: What Does That Mean in Terms of Comfort? Our unique memory foam is made by a boutique memory foam company that specializes only in memory foam. This specialization means that their focus is on creating the most comfortable memory foam possible. What does that mean for our memory foam, exactly? Our memory foam is made with an open cell structure. That means it has a 95% greater air flow and wicks away moisture and heat three times more than traditional memory foam. 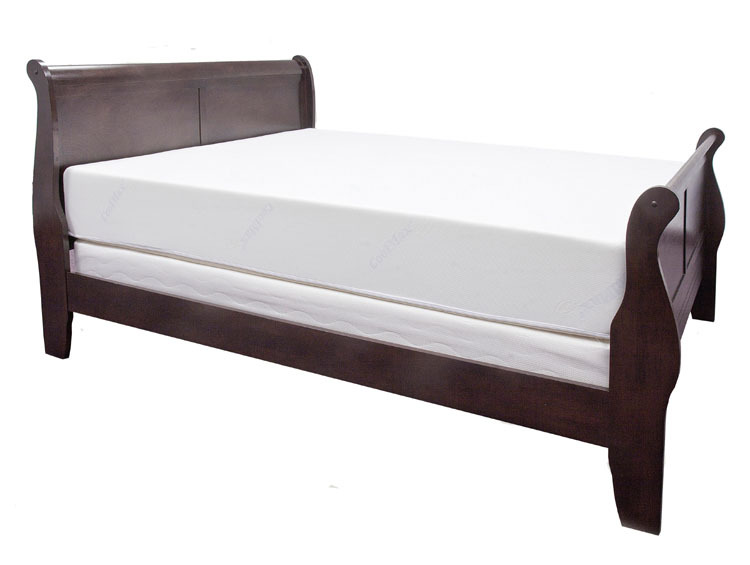 This means that not only is it extremely comfortable, but that it sleeps much cooler than traditional memory foam. The Healthy Foundations 10″ Memory Foam Mattress is so much cooler than traditional memory foam that only 1/2 of 1% of our returns are for heat. Author Angela L. HensleyPosted on February 16, 2015 Categories memory foam, memory foam mattressTags memory foam, memory foam bed, memory foam mattress, sleep hotLeave a comment on Memory Foam With an Open Cell Structure: What Does That Mean in Terms of Comfort? We frequently get questions about why our memory foam sleeps cooler than traditional memory foams. There are a few reasons for that, including our proprietary Comfort Matrix Construction™, exclusive to our Healthy Foundations 10″ Memory Foam Mattress. Does Density Affect How Hot Memory Foam is To Sleep On? Will a lower density foam or higher density foam be hotter to sleep on? Boy, that is a tough question. I can’t say I have a definitive answer for you. We’ve tested a lot of memory foams, and talked with many manufacturers about this issue, but I’ve never heard that density is the issue here. Instead, I think that it is more dependant on the particular characteristics of that memory foam. Author Posted on July 5, 2007 Categories UncategorizedTags memory foam, memory foam mattress, memory foam mattress topper pad, sleep hotLeave a comment on Does Density Affect How Hot Memory Foam is To Sleep On?